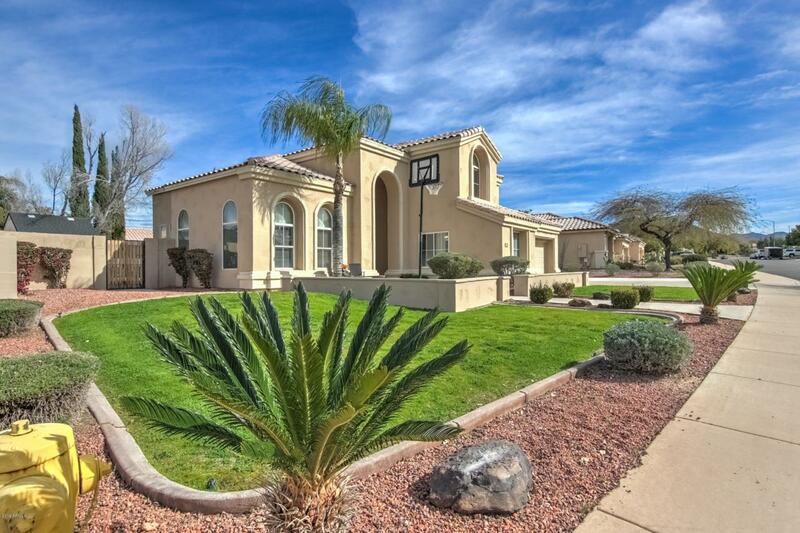 Beautifully updated home in the Red Mountain/Las Sendas area, perfect for entertaining! 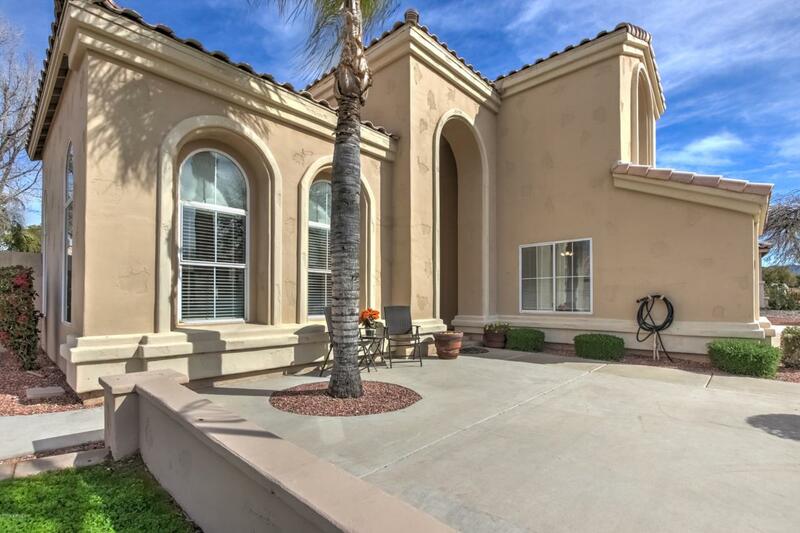 Inside you will find 4 bedrooms and 3 full baths plus office downstairs. 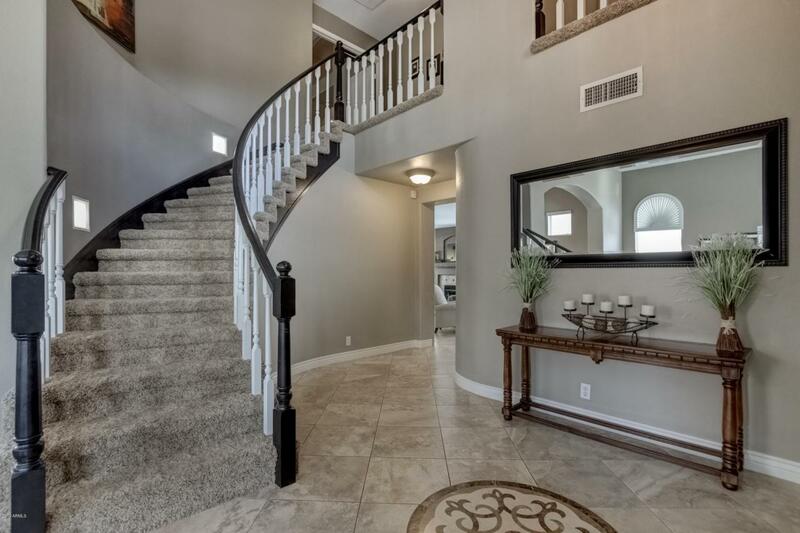 Open floorplan with updated flooring & neutral paint. Large eat-in kitchen open to family room with surround sound & fireplace. Amazing formal dining & living room with vaulted ceilings. 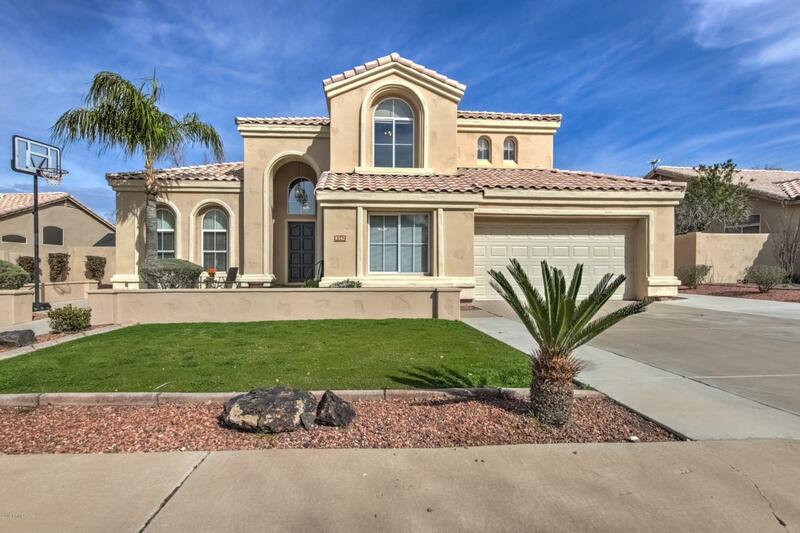 Spacious master suite with jetted tub, dual walk-in closets, & recently resurfaced walk out deck with views of Red Mountain. Step out back to your own private paradise! Newer sparkling, heated pool is surrounded by artificial grass, putting green, travertine and landscape lighting. Covered patio with built-in bbq, smoker and outdoor speakers. Side yard has storage shed and lots of extra space.